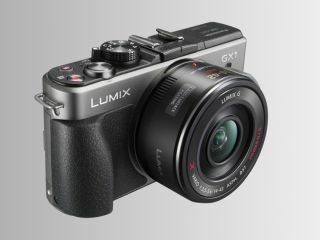 Panasonic has announced an update for its GX1 advanced compact system camera which improves a number of functions. A firmware upgrade for the Lumix G Vario 100-300mm f/4.0-5.6 lens is also available which improves the performances of the O.I.S. (Optical Image Stabiliser). The updates to the Panasonic GX1 include enhancements to auto white balance, the performance of autofocus and improved stability when using SD memory cards to comply with high-speed UHS-I cards. Also added is the ability to add step zoom and zoom speed to the settings accessed via the function (Fn) button and Q Menu button. Changes have also been made to the display of the camera, particularly the menu and the ability to flip between menus with the Display button. The GX1 is Panasonic's latest compact system camera, and is aimed at professional or enthusiast photographers looking for an advanced CSC. It features Full HD video recording, a 3-inch touchscreen and a robust all-metal body. The 16 million pixel sensor, micro four thirds camera was also designed to fill the void left by the popular Lumix GF1 which included a greater degree of manual functionality than subsequent models in the GF series. New firmware for the GX1 will be available at the end of January as a free download from the Panasonic website.